A medical professional will load a secure drone container with a medical sample or specimen, such as a blood sample, at one o WakeMed’s nearby facilities. Washington: In one of the first efforts towards commercialising drone delivery in the US, the United Postal Service (UPS) and Matternet are set to launch a new drone airline to deliver medical samples. As the official press release of UPS states, the program will take place at WakeMed’s Raleigh campus with oversight by the Federal Aviation Administration and North Carolina Department of Transportation. 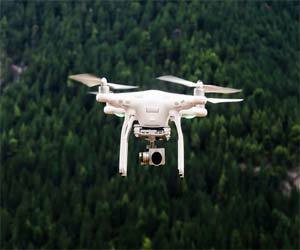 The system will use Matternet’s M2 quadcopter that is powered by a rechargeable lithium-ion battery. It will be able to carry medical payloads weighing up to about 5 lbs. over distances of up to 12.5 miles. The drone will then fly along a predetermined flight path, monitored by a trained remote pilot-in-command, to a fixed landing pad at the main hospital and central pathology lab.